People visit the Wall That Heals, a half-scale replica of the Vietnam Veterans Memorial in Washington D.C., now on display at Haverhill high school . CARL RUSSO/Staff photo. Visitors are reflected in Wall That Heals. 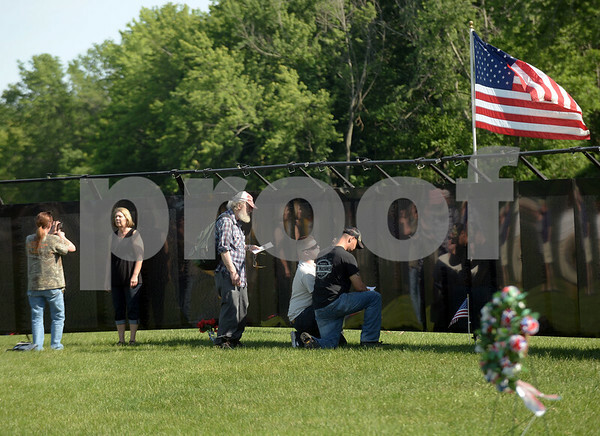 People visiting the Wall That Heals on Thursday, a half-scale replica of the Vietnam Veterans Memorial in Washington D.C., on display at Haverhill high school. 6/15/2017..